The sleve operates with the drive system from the top center. Control sifter works with an electric motor mounted on top of the machine. Oscillation radius can be easily adjusted with the twin balance drive system. The sifting chambers, including sifting frames and sifting passages stack. Two wooden casing sets where the sifting process is carried out. 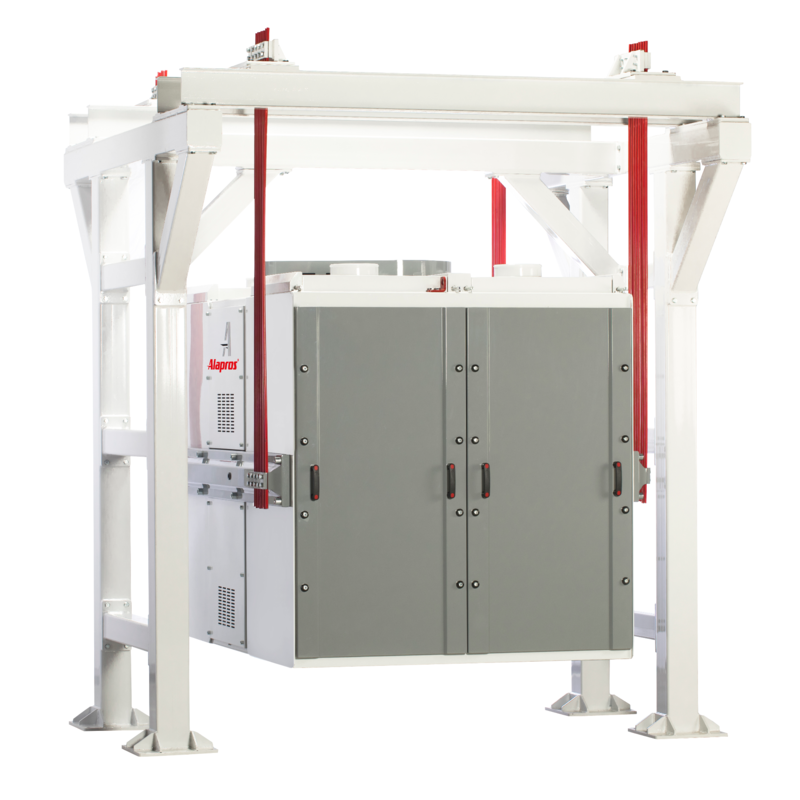 Chassis and one drive unit which creates the oscillation for sifting process. Both model plan sifters are made of special and durable carbon steel material appropriate for vibrating operations, and welded by special electrodes in milimetric tolerances. 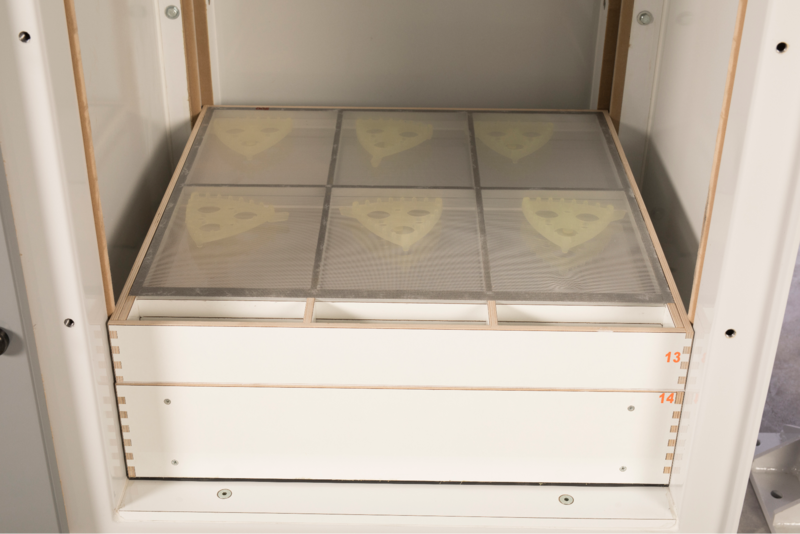 The chassis are constructed by minimizing corners and burrs are eliminated to form an even and smooth surface to prevent micro bacterial growth. 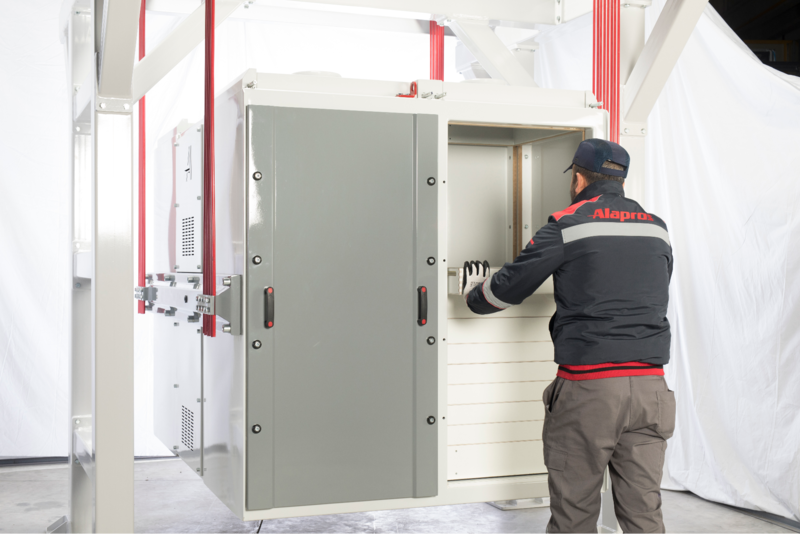 Sensitive and central system boxes with high precision sifting frames offer tight and reliable structures in every flow direction. The sifting frames are made of completely dried first quality wooden material using metric tolerance with maximum resistance and tightness. The sifting frames and insert frame are covered by dual face laminate material with maximum hygiene. Casing platforms are made of dual face laminated material as a standard, and optionally stainless steel. Passages doors are made of fiberglass with a bright and smooth surface, using insulation to prevent condensation, are manufactured using the cast method and have a highly resistant structure. 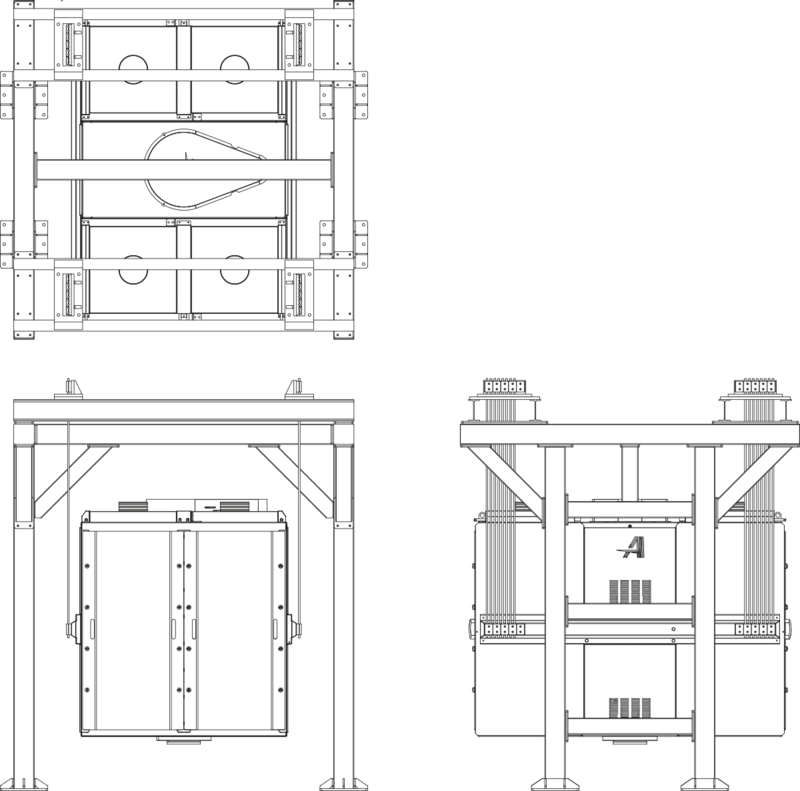 The plan sifter frames are tightened using two mechanisms capable of compressing all of the four corners irrespective of height, while the transfer of the mechanisms out of the passage ensures hygiene and facilitates quick maintenance. Minimized maintenance thanks to extreme ease of handling. 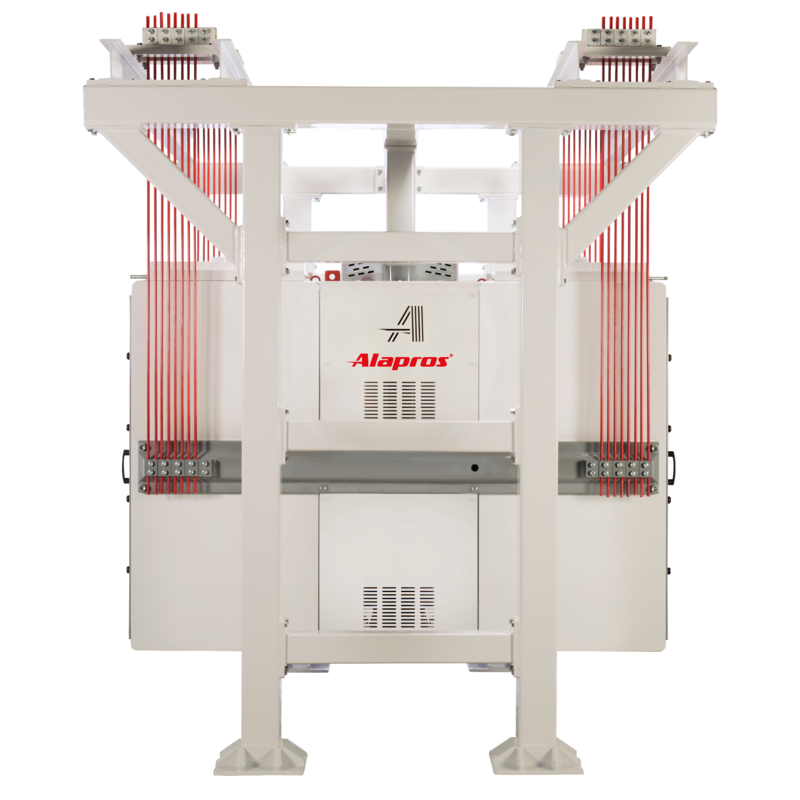 Excellent sifting efficiency thanks to high dynamic acceleration. Up to 32 sieves per compartment. Wide range of applications with 4, 6, 8, and 10 compartments. High sifting capacity in a minimum space. 16, 00 — 110, 00 m2 net sleve area.